I’m not often prone to flights of fancy but when it comes to Patek Philippe (especially this Nautilus Chronograph), one can dream. 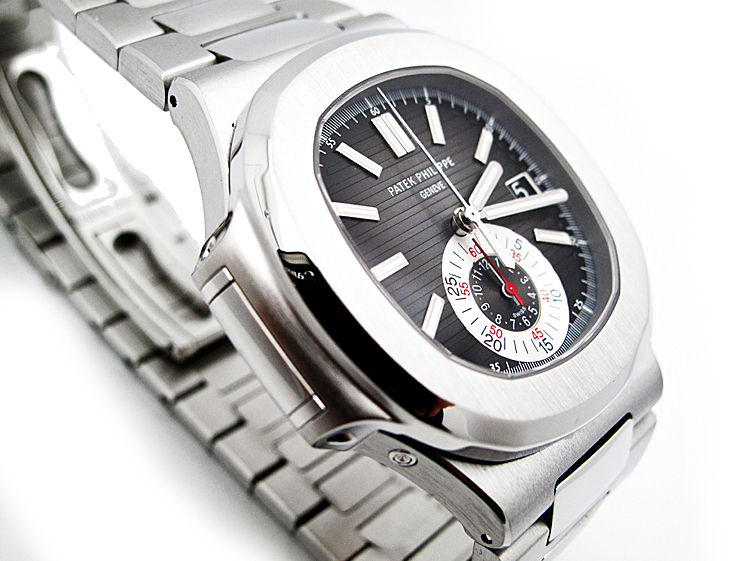 While Patek Philippe doesn’t exactly enjoy the mass market luxury brand recognition of Rolex, Patek is one name that not only continues to accrue in demand but when the time comes- collector value and recognition. 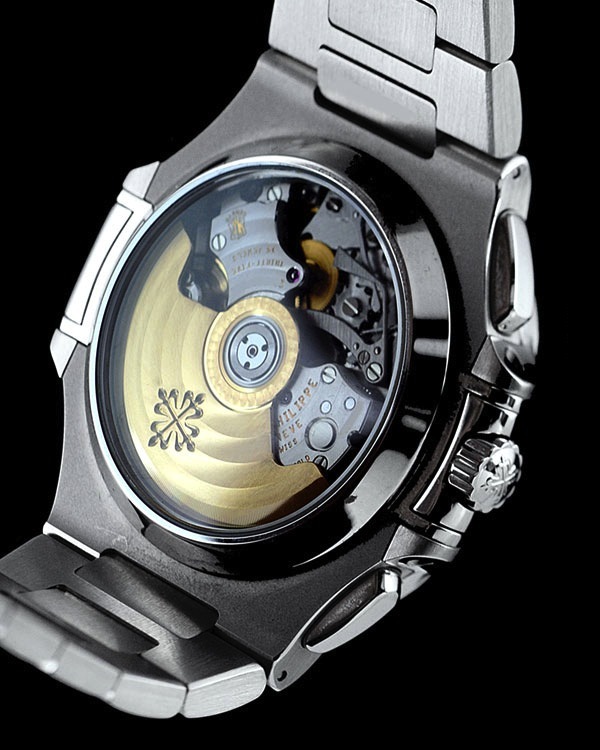 Unlike the Calatrava, the Nautilus has been this watch manufacture’s classic yet sporty line for Bruce Wayne (read sport) types; and though the Nautilus hasn’t been equipped with traditional complications that always seem to send watch aficionados into a frenzy, the Nautilus chronograph stands out as one of those affordable (relatively) timepieces offered by Patek Philippe that straddles that line of craftsmanship (chronograph complication) and value (5 rather than 6 digit price tag). The critics will bulk at the steel construction of the Nautilus Chronograph but what you’re paying for is not only the brand heritage or the chronograph movement but also the little details, of note- the gradient blue – black dial of the chronograph. Weighing in at 44mm in width, the Patek Philippe Nautilus Chronograph is a tad larger than the usual offerings and to be honest- bigger than current watch trends but the angular rectangular watch case makes it look smaller than it really is. The made in-house Caliber CH 28-250 C automatic chronograph is crafted beautifully like its classical counterparts and the solid gold rotor through crystal case back only lends exotic contrast with polished steel. What really takes the cake is how the watchmakers at Patek Philippe managed to put time, date and 12 hour chronograph complication in one sundial- I’ve often found the biggest drawbacks to most heritage manufacture complications is how ridiculously complicated (really, no pun intended) and busy the dial looks yet somehow the watch gurus at Patek have somehow mastered the art of complex simplicity by building a dial within a dial, the end product? A watch that proves the adage less is more while providing more of more. Is it worth remaining in debt till the next generation? For the Patek Philippe Nautilus Chronograph- I think probably yes (just don’t tell the wife till the birth of your first born).